If you are headed to college, you know all about the expenses that come along with heading back to school. Tuition, fees, housing, books, food and more all add up significantly. Decorating your dorm room can be one place where you can reduce your costs and save your money for other expenses. The college or university likely provides a bed, desk, and a small dresser. Often times the space is rather drab, leaving it up to you to spruce it up to suit your style. First off, you need comfortable bedding including sheets, pillowcases, and a quilt or comforter set. 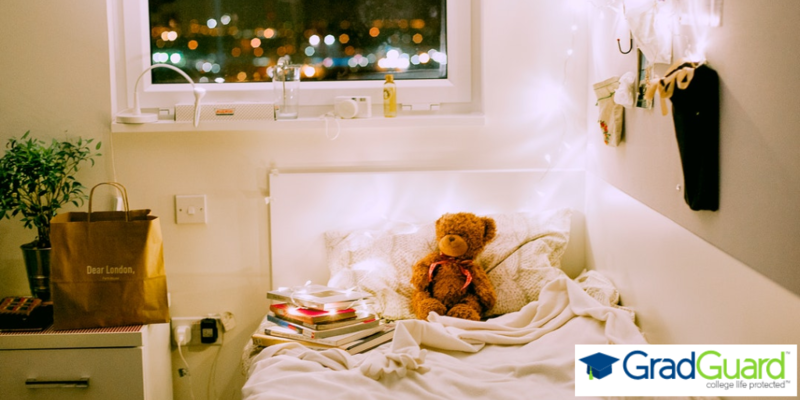 College students aren’t known for getting a lot of rest, but you will need bedding more than anything for your dorm room. In smaller dorm rooms, your bed takes up most of your space and will likely double as your seating area so you will want to find some high-quality bed linens. The standard size for most dorm room beds is twin extra long. A comfortable Twin XL comforter set with a stylish print or with textured ruffles is the perfect piece to focus your décor theme around. These bedding sets are likely to be your biggest expense when decorating your dorm room, but you don’t want to skimp on quality here to save a buck. When you are stuck in your dorm room working on a term paper, you will appreciate the fresh air from your Pothos, Rubber Tree, or Spider Plant. They can also be purchased at a reasonable price from your local nursery. 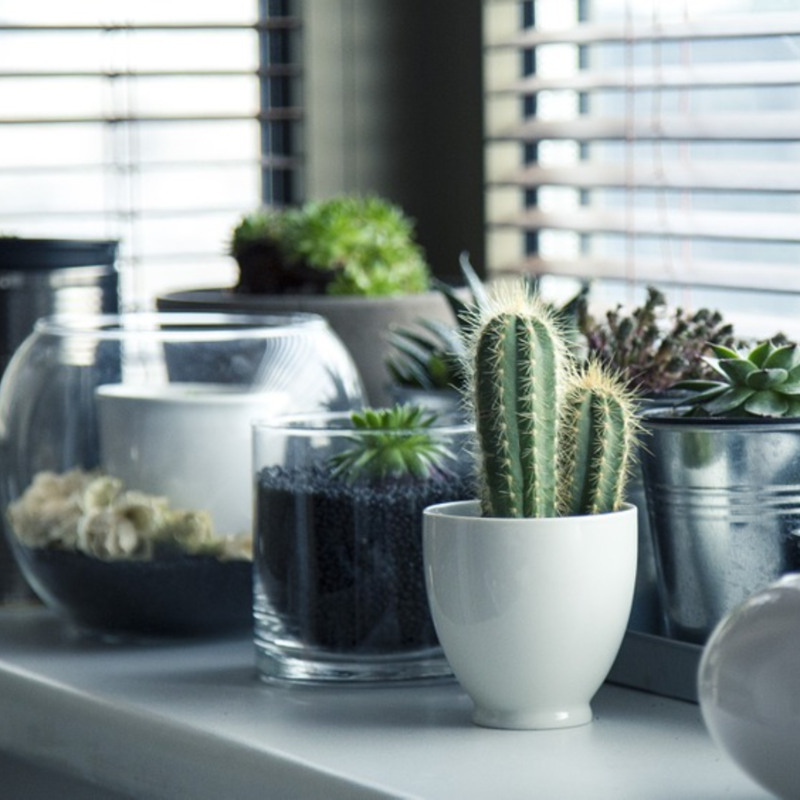 Having an indoor plant is a great way to create a focal point in your dorm room, add color to your space, or simply freshen up the place. The best place to save money on your dorm décor is in wall art. Shop thrift stores for some great vintage looks, such as large decorative mirrors or paintings. Or, create your own more contemporary pieces with a few DIY projects over the summer break. You can take your favorite t-shirts and turn them into a tapestry or some of your photos and create a collage. Decorative throw pillows and blankets are among the least expensive items you can add to your dorm room. They don’t just look good; they add functionality to your space. The pillows offer another place for you or your guests to rest your heads. The blanket will keep you warm on your couch or computer chair when you’re not quite ready for bed. Should you wish to bring a little bit of home with you to campus, try asking one of your family members if they could teach you how to knit a quilt or sew a blanket. Remember, when it comes to budgeting for college, you will have to account for some hefty expenses. Decorating your dorm room doesn’t have to be one of them. Shop at second-hand stores and garage sales to find items at heavily reduced prices. Don’t forget to enjoy the experience! After you have property decorated your dorm room on a college budget, be sure that you protect it with the proper renters insurance! As one of the leading college renters insurance industries, GradGuard is committed to protecting your favorite belongings. Learn more about GradGuard Renters Insurance and visit our website today. About the Author: Kim Foerst is currently the digital marketing manager for Lush Décor, a brand of Triangle Home Fashions. She has a passion for writing relevant content and, in addition to home decorating, has blogged about a wide range of topics from heavy machinery to healthcare.